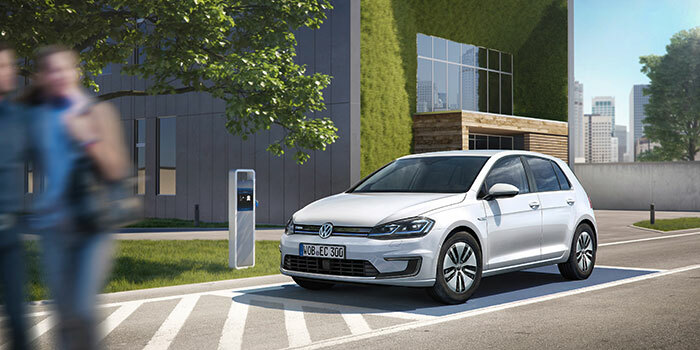 It’s hard to compete with the driving range of a more expensive EV like the Tesla Model S, but VW has rolled out the 2017 version of the e-Golf EV. This time out VW says that the car has a 50% improved driving range, which sounds fantastic right up until you realize that 50% better driving range is still only 124 miles per charge. The new battery inside the car is a 35.8 kWh unit compared to the 24.2 kWh unit the car had previously. A 7.2 kWh on-board charger is standard on the SE and SEL Premium trims. With that charger the battery can be charged in less than six hours at a normal charging station. Using a DC fast charging station, the battery could be charged to 80% capacity in an hour. The motor inside the EV makes 134 hp and 214 lb-ft of torque. The car can reach 60 mph in 9.6 seconds and has a 93 mph top speed. Inside the car has optional VW Digital Cockpit where all gauges are shown on a 12.3-inch color screen. The car can also be had with a Discover Pro infotainment system with a 9.2-inch glass screen. Pricing and availability are unannounced.